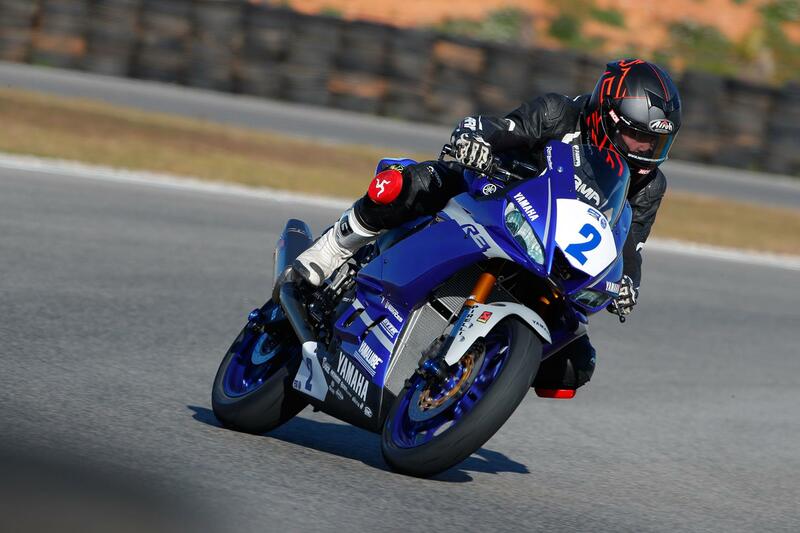 Alongside the introduction of a revised YZF-R3 road bike for 2019, Yamaha have revealed a new GYTR performance kit to transform the standard machine into a World Supersport 300 (WSSP300) race bike. First revealed to the press at Eicma 2018 alongside the exclusive GYTR R1 superbike, the Japanese firm will supply all of the parts as well as a standard R3 for €12,000, with the onus then placed on the customer to fit them ahead of competition. 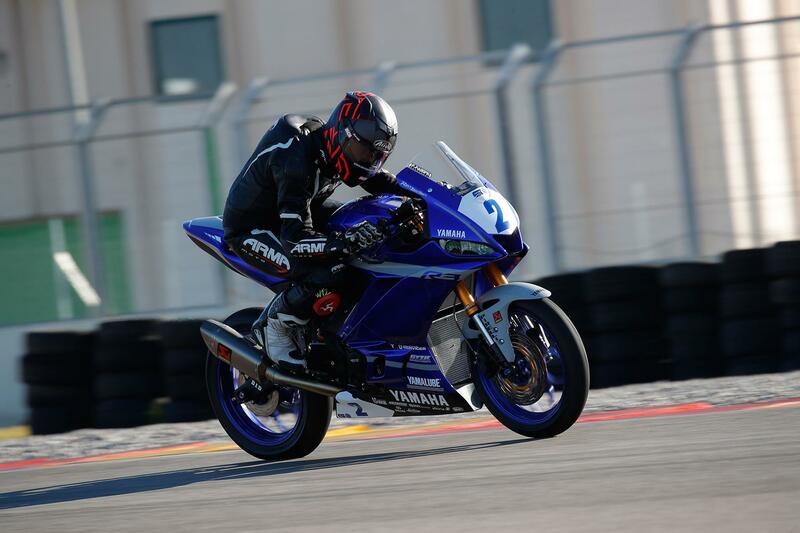 Standing for Genuine Yamaha Technology Racing, performance is said to be boosted from 41.4bhp to a target 49bhp - the maximum power output in the FIM world championship 300 class. This is achieved through a GYTR engine kit, including a revised piston skirt angle and anti-friction materials, as well as re-designed cams. Sitting alongside this is a full Akrapovic exhaust system that delivers a throaty growl that bellows throughout the rev range. Away from the motor, the bike also stops and steers much more effectively than the standard machine, thanks to an Öhlins front fork cartridge kit and rear shock, a Brembo floating front disc, Z04 pads and Goodridge brake lines. 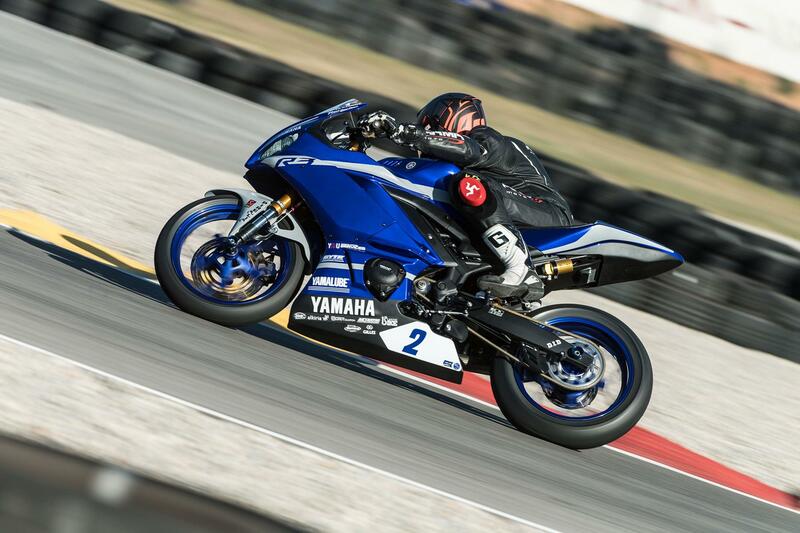 MCN was fortunate enough to ride the new machine at the launch of the 2019 YZF-R125 and R3 late last week at Ribera circuit, just outside Valencia, Spain. 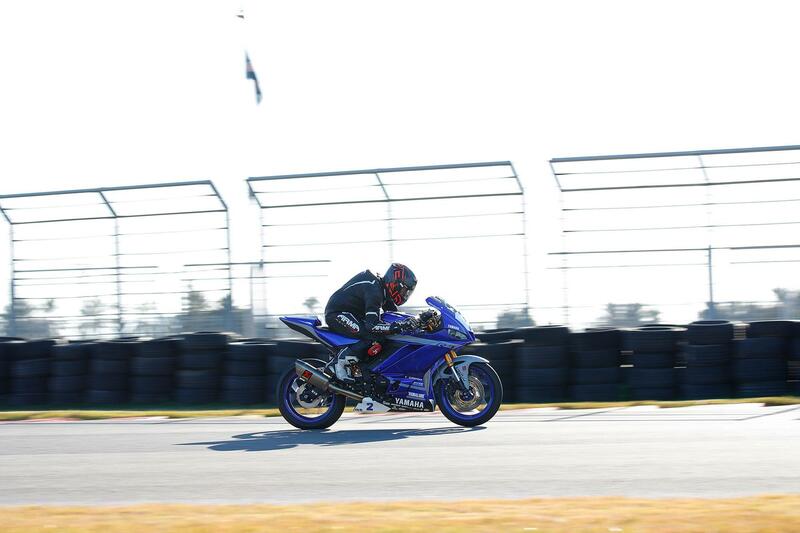 With the temperature skating at around 15-degrees, next to no cloud cover and a set of treaded Pirelli Supercorsa SC1 race tyres being lightly toasted in their warmers, it was the ideal time to take a spin ahead of the 2019 season. Gently brapping in sync in the pit box, the three demonstration bikes are warmed up for their respective riders. As I slip on my crash helmet and gloves, the Yamaha mechanic gently lifts number two off its paddock stand, ready for my 10 minute stint on track. I feel like a factory-backed racer, ready to head out for superpole. As you might expect, the GYTR machine feels nothing like the production A2-friendly R3. It’s taller, firmer and the riding position is much further forwards; discarding any of the road bike’s traits as a comfortable inner-city runaround. The seat is also unforgiving and lacks any form of padding, however will rarely be used by a professional rider, as they hang off around every turn. A blip of the Domino quick action throttle reveals a more direct and faster response time and once underway it feels noticeably more powerful than the standard bike, with a greater spread of torque throughout the rev range and more acceleration out of the corners. Once up to speed, the Akrapovic-laden R3 sounds purposeful without being obnoxious and will deliver devilish pops and bangs on deceleration. It’s an all-encompassing noise that dials out any distracting wind noise, allowing you to focus solely on the task at hand. Replacing the standard Dunlop Sportmax GPR300 tyres are a sportier set of Pirellis, which bite the ground hard and prevent any chance of a slide at the hands of this tester. Combined with the Öhlins suspension, it feels firm and agile, turning in faster than the road bike could ever hope to and you spend the first few laps convincing yourself it’s not just going to topple over as you tip in in search of an apex. Moving through the gears is also a slick affair, snatching shifts up and down the box purposefully, with no hints of a false neutral. This is despite the bike lacking its usual quickshifter, which had to be removed in order to put the demo bikes back into a road-based pattern.